Easy to obtain and relatively inexpensive, alcohol is the most popular intoxicant in the US. According to the Centers for Disease Control and Prevention, almost 25 percent of Americans age 18 and older reported that they had at least one day of heavy drinking in the past year. Because alcohol is so accessible, and because drinking is an accepted practice in many of our social activities and celebrations, the opportunity to overindulge is always present. Yet alcohol is a highly addictive substance, and the disease of alcoholism can have a devastating effect on the health of individuals and their families. Harm Caused by Binge Drinking: What Happens After a Binge? How Dangerous is Consuming Alcohol During Pregnancy? Is Alcoholism Genetic? What Are the Chances You Will Inherit it? Taking Campral for Alcohol Abuse and Addiction: Is it Effective? How Is Alcohol Abuse Defined? Alcohol is a central nervous system depressant. Although drinking may initially have an energizing, stimulating effect, alcohol eventually slows down the activities of the brain, nerves, and vital organs. After a few drinks, most users feel sluggish and less coordinated. Confusion, loss of motor coordination, numbness, slurred speech, and drowsiness take over, followed by unconsciousness if drinking continues. In spite of the negative effects of alcohol intoxication, people who abuse alcohol continue drinking because this substance releases chemicals in the brain that create feelings of happiness, wellbeing, and euphoria. These chemicals are naturally produced opioids, or endorphins, which also help to reduce feelings of pain. Moderate drinking: Moderate drinking, which can have certain health benefits, is defined as one alcoholic beverage per day for women and two alcoholic beverages per day for men. A single drink consists of 12 ounces of beer, 5 ounces of wine, or 1.5 ounces of 80-proof alcohol. Heavy drinkers often consume far more than this amount during a drinking session. Heavy drinking: Heavy drinking, also known as high-risk drinking, is defined as consuming more than three drinks per day or more than seven drinks per week for women, and more than four drinks per day or more than 14 drinks per week for men. Binge drinking: Binge drinking is the consumption of a relatively large amount of alcohol — four or more drinks for women, five or more drinks for men — in a short period of time, usually 2-5 hours. Binge drinking is an extremely dangerous practice that can lead to alcohol poisoning, alcohol-related accidents, and death. Regular binge drinking greatly increases the risk of alcoholism. 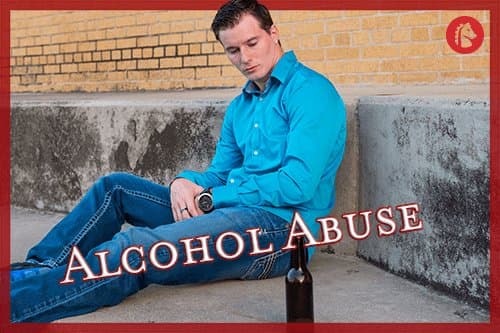 Alcohol abuse: Alcohol abuse is a consistent pattern of heavy alcohol consumption, leading to problems with the individual’s health, daily functioning, job performance, or relationships. Alcohol abuse also frequently leads to legal complications, accidents, and financial difficulties. Alcoholism: Alcoholism is a chronic brain disease that causes the individual to use alcohol compulsively and destructively, in spite of its harmful consequences. Alcoholism affects all of the body’s major systems, and it will almost always lead to increased disease, disability, and premature death if the individual does not receive treatment. 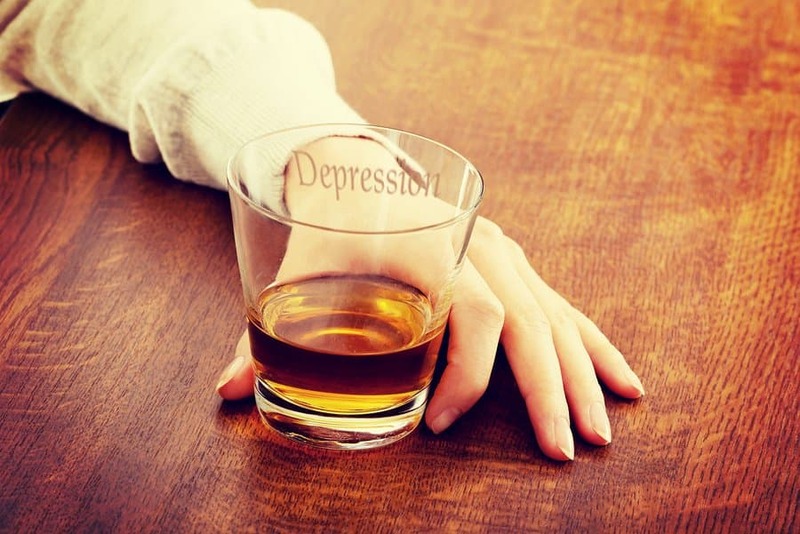 The key signs of alcoholism include compulsive drinking in spite of the destructive consequences, a loss of control over how much alcohol is consumed, a sense of guilt or remorse over drinking, frequent attempts to quit without success, and withdrawal symptoms when one tries to stop drinking. Not everyone who drinks alcohol will become an alcoholic. According to the National Institute on Alcohol Abuse and Alcoholism, only around 2 percent of people who drink moderately will develop a problem with alcohol. However, a consistent pattern of heavy drinking greatly increases the risk of developing a tolerance to alcohol, which can quickly turn into an addiction to this intoxicating substance. How Common Is Alcohol Abuse? Over 80 percent of Americans age 18 and older stated they had consumed alcohol at some point in their lives. Close to 25 percent (24.6) of American adults said they had at least one binge drinking episode in the past 30 days. Binge drinking is the consumption of a large number of drinks, usually at least 4-5, in a single session. Approximately 1.3 million of the Americans with an alcohol use disorder received treatment at a specialized rehab center or other treatment facility. This represents only 7.8 percent of the adults who actually needed treatment. Although alcoholism is one of the most common forms of addiction worldwide, statistics prove that a relatively small number of Americans actually receive the help they need to recover from this chronic and progressive disease. They believe rehab is unaffordable or that their health insurance won’t cover the cost of treatment. They know that they need treatment and are willing to go, but they have other commitments that prevent them from entering rehab, such as their families or jobs. Most of the obstacles to entering alcohol rehab can be resolved with the help of admissions counselors or case managers who can provide referrals to affordable, flexible rehab programs. However, the barrier of denial may be harder to overcome. Denying that one has a problem with alcohol is one of the hallmark signs of addiction, and until someone is ready to admit that help is needed, that person will probably not seek treatment voluntarily. What Is the Impact of Alcohol Abuse? Tragically, the vast majority of these deaths could be prevented by detox, rehab, and abstinence from alcohol. In addition to the medical consequences of heavy alcohol use, alcohol has been implicated in thousands of traffic fatalities each year. In 2012 alone, more than 10,000 people died as a result of alcohol-related motor vehicle accidents in the US, reports the National Highway Traffic Safety Administration. This means that at least once an hour, someone in this country died of an alcohol-related accident that year. Genetic background: The National Institute on Alcohol Abuse and Alcoholism states that 50-60 percent of an individual’s risk of alcohol addiction is based on genetics. A person’s genetic background could encompass any of the neurological or physical traits that predispose the person to harmful drinking, such as imbalances in brain chemistry, an allergic reaction to alcohol, or an inability to metabolize alcohol properly. Family history: When it comes to discovering the origins of alcoholism, the “nature versus nurture” debate has continued for years. Researchers and therapists who take the “nurture” side believe that heavy drinking is a learned behavior that is acquired through exposure to alcohol abuse in one’s family. This theory holds that children who grow up in households where one or both parents drink heavily have a higher risk of abusing alcohol themselves as a result of learning dysfunctional coping mechanisms. Environmental factors: In addition to family background and genetics, the individual’s broader social environment can play a part in the risk of alcoholism. People who are raised in communities where drug and alcohol abuse are common, or where stressful situations like violence and poverty exist, may turn to alcohol as way to cope with their surroundings. By the same token, people who live in a very permissive environment, where binge drinking or heavy drinking is socially accepted or even encouraged, may have a higher risk of drinking destructively themselves. Brain chemistry: Recent research appears to confirm the theory that an individual’s brain chemistry helps to determine how the person will respond to alcohol. An article published in Science Translational Medicine presents research showing that the brains of certain laboratory animals produce higher levels of pleasure-inducing brain chemicals (endorphins, or naturally produced opioids) after drinking, and that these animals are more likely to continue consuming alcohol in order to experience that pleasurable response. This theory could be applied to the difference in drinking behavior that occurs among humans, some of whom drink to excess whenever they pick up an alcoholic beverage, while others can easily stop at one or two drinks, and still others don’t find drinking enjoyable at all. Exposure to extreme stress, violence, or trauma: Living through stressful or traumatic situations, either in the present or in the past, can contribute to the urge to drink. For individuals who have experienced trauma, drinking can be a way to soothe fear or ease anxieties. According to the National Center for PTSD (post-traumatic stress disorder), people who have been exposed to violence, trauma, or abuse are more likely to have drinking problems than those who have not had these experiences. Co-Occurring mental illness: While mental illness does not cause alcoholism, alcohol abuse and mental illness frequently coexist. Some psychiatric disorders, such as depression, bipolar disorder, and anxiety disorders, seem to predispose the individual to heavy drinking or compulsive drug use. Alcohol abuse can mask the symptoms of mental illness, and it can also worsen those symptoms, increasing the individual’s risk of hospitalization, incarceration, or self-destructive behavior. In addition, alcohol abuse can change the way the brain functions, diminishing the individual’s self-control and judgment, according to the National Institute on Drug Abuse. These changes may resemble mental illness, or they may actually lead to mental illness. It is likely that alcoholism develops as a result of more than one of these contributing factors. Individuals may be vulnerable to alcohol abuse because of childhoods spent watching their parents drink heavily. Environmental stress and neurological factors may add to this risk, increasing the odds that these people will drink heavily. In rehab, intensive therapy can help clients discover the origins of their heavy drinking and find ways to effectively cope with this disease. After long periods of exposure to alcohol, the brain becomes accustomed to the sedative effects of this drug. Over time, the brain begins to overcome this sedation by producing larger amounts of chemicals that stimulate activity in the central nervous system, such as norepinephrine and serotonin. When the person stops drinking and the sedating effects of alcohol are suddenly withdrawn, high levels of naturally produced stimulants can cause anxiety, agitation, tremors, and sleep disturbances. At the same time, the person begins to experience severe cravings for alcohol. The symptoms of alcohol withdrawal, known collectively as alcohol withdrawal syndrome, are potentially life-threatening. The effects of alcohol withdrawal can begin within a few hours after the last drink, and they may continue for several days to a week or more. 2-4 hours: In a matter of hours, the body responds to the absence of alcohol. Early symptoms of withdrawal include shaking, or tremors, a sense of anxiety, nausea, sweating, irritability, an elevated pulse, and elevated blood pressure. These symptoms usually continue for up to 24 hours, but may last for two or more days. 12-24 hours: Alcohol withdrawal begins to affect the mind, causing alcoholic hallucinations. At this point, the individual may see objects that aren’t there or feel uncomfortable, crawling sensations on the skin. Hallucinations generally continue for 24 hours to two or more days. 6 hours to 2 days: The risk of withdrawal-related seizures begins at around six hours after the last drink, and increases until the 24-hour mark; however, the risk of seizures continues for 48 hours or more. 2-3 days: Delirium tremens, also known as DTs, typically begins within 2-4 days after the last alcoholic drink, but symptoms may be delayed by as long as a week or more. Delirium tremens is considered a medical emergency, as it can lead to severe seizures, hyperthermia, irregular heartbeat, and death. The Harvard Health Guide estimates that one out of every 20 heavy drinkers will experience delirium tremens when drinking is stopped. In delirium tremens, the individual can become extremely confused, angry, delusional, and paranoid. Dangerous physical side effects can occur as the brain attempts to adjust to the absence of alcohol, including an irregular heartbeat, a sudden spike in blood pressure, and high body temperature. Sweating, fever, and dehydration may follow. In the most severe cases, the individual may have seizures, a stroke, or a heart attack. The first goal of medical alcohol detox is to stabilize patients. Once patients are stabilized, they will continue to be monitored for several days or more, depending on their history of drinking and the amount of alcohol that they consumed. At the same time, patients will receive support from therapists, counselors, or case managers, who will help prepare them for the transition to rehab. Individual therapy: Individual therapy is a cornerstone of a rehabilitation program. In one-on-one sessions, the therapist and client work together to set recovery goals, overcome barriers to treatment, and acquire healthy new coping skills. Group therapy: Most people struggling with alcoholism suffer from a lack of supportive, trusting relationships. In group therapy, clients build peer relationships and hone their communication skills as they share experiences and exchange coping strategies. Perhaps most importantly, clients learn that they are not alone in their addictive behaviors and that there are others who share the same struggles. 12-Step meetings: Founded in 1935, Alcoholics Anonymous (AA) is the oldest of the 12-Step recovery groups. This fellowship continues to help alcoholics recover and remain abstinent through the support of their peers and a higher power of their choosing. Medications for alcohol abuse: Although there is no medication that can cure alcoholism, there are several drugs that have been used successfully to help curb cravings and reduce the risk of a relapse. Naltrexone, sold under brand names like ReVia and Vivitrol, can blunt the effects of alcohol, making it less pleasurable and less rewarding to drink. Acamprosate, sold under the brand name Campral, helps repair the damage done to the brain by alcohol abuse. Disulfiram, or Antabuse, discourages drinking by causing severe discomfort if the individual ingests alcohol in any form. Family and marriage counseling: Alcoholism is not considered to be a strictly individual problem, but a disease that affects everyone in the person’s life. The origins of problem drinking often begin within the home or are worsened by conflicts in the person’s life. Family and marriage counseling helps both the client and loved ones learn how to cope with the disease, how to improve communication, and how to strengthen relationships at home. The ultimate goal of family counseling is to create a safe, supportive atmosphere at home that promotes a healthy, sober life for everyone in the household. What Are the Benefits of Alcohol Rehab? Many who are confronted with the reality of their drinking believe that they can get sober without detox, rehab, or therapeutic interventions — and a few of them may actually succeed. However, the risks of quitting alcohol without professional help far outweigh the benefits. 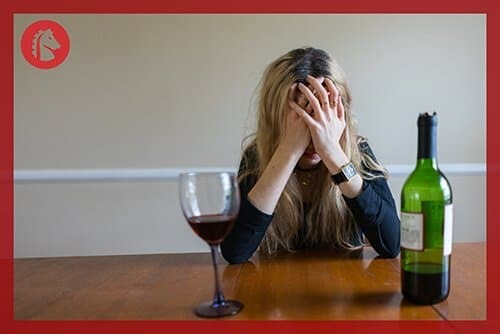 Repeated relapse is one of the symptoms of alcoholism, and it is common for rehab clients to slide back into drinking, at least temporarily, after rehab. With the support of a specialized alcohol rehab program, the risk of a relapse decreases, and the chances of leading a healthy life, free from disease and disability, are greatly increased.